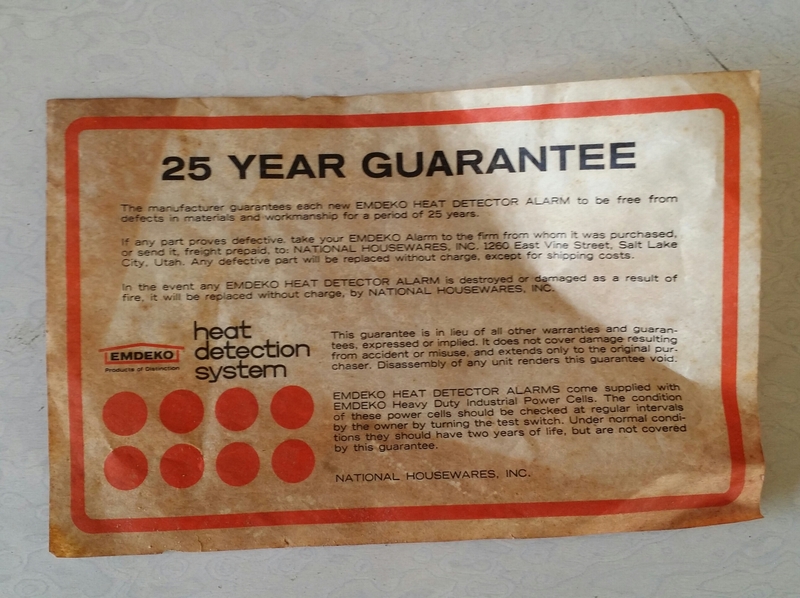 Heat Detection System by Emdeko Vintage and in the U.S.A.
A few months ago I found seven pieces of heat detection system in an old house that was being demolished. I talked to the caretaker and found out that the owners of the house migrated to the United States in the 70’s and he was left to take care of the house. Just last year the owners decided to sell a part of their property and that was why the house was being demolished. The good thing was that one of my workers who works at my junk shop informed me that a house was being demolished and maybe I could find some things that of interest. So I decided to give it a visit and I found this heat detection system just laying around and if not be thrown in the garbage. When I found it it was in a cabinet inside an old carton box. 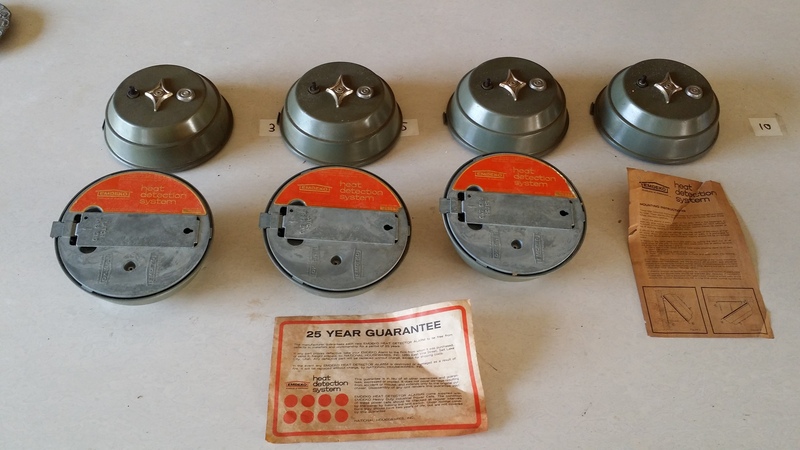 there were a total of seven pieces of it a manual and a certificate of guarantee for 25 years. I talked to the caretaker and asked him if I could buy them instead of him throwing it away good thing is that he agreed for me to buy it. 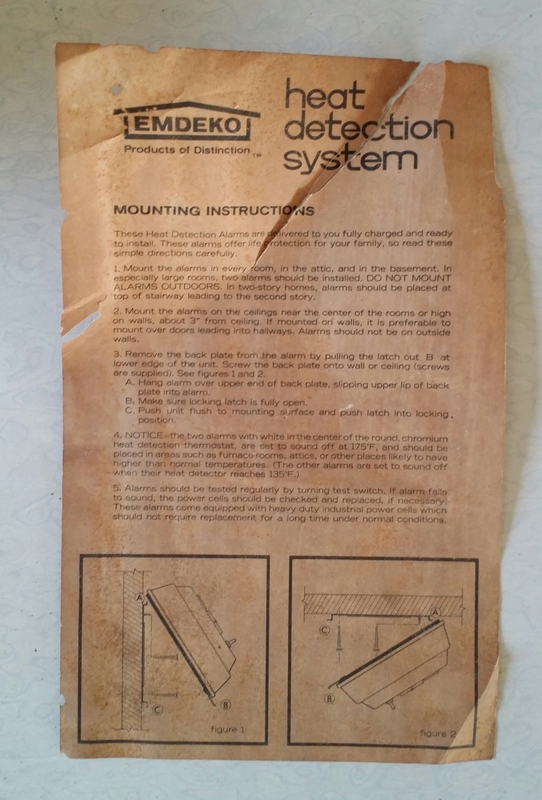 As you can see the heat detection system was made by a company named Emdeko for the the National Housewares Inc Company that was located in Utah according the the certificate of guarantee. I tried to search the internet for more information regarding the the two companies, but unfortunately I was not able to find any. If any of you knows a little knowledge or information about the two companies can you please post a comment so that I can add them to the blog post. When I got home with the heat detection unit i tried to see how it works. Unfortunately I did not have any C size batteries to test it out. 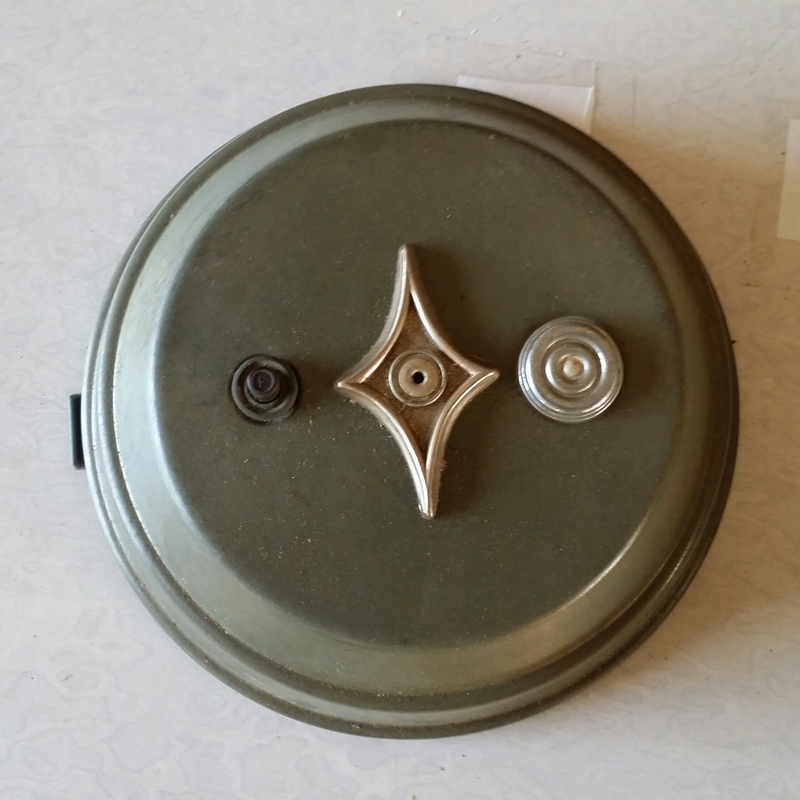 I Just then examined it and I think that the unit body is made from aluminum and it is about 8-10 inches in diameter. It would have been a great part for a collection because it was still in mint condition and it even still has the manual. But one of my friend in our local picker Facebook group asked me if he could buy it from me. So I decided to sell it to him because I know that he is a collector of this kinds of stuff and I know that he will take care of it. 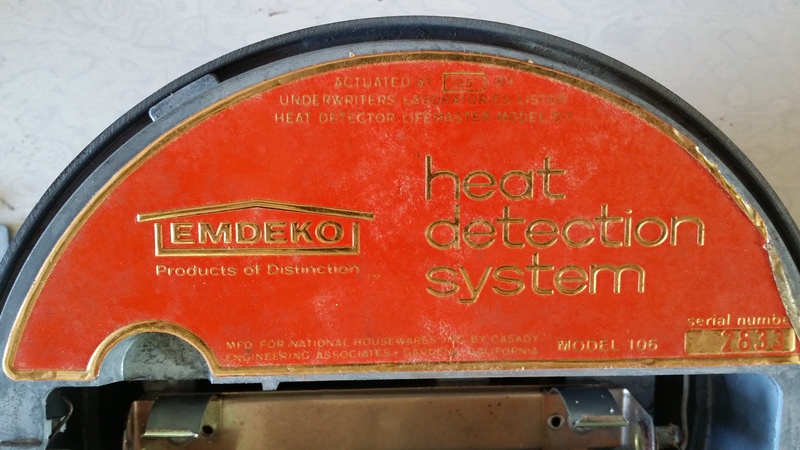 I could not find any links to add more information regarding this Emdeko heat detection system but if you are looking for one you ca find some posted in Ebay. I recently bought a house and it has a complete set still in the box. Is there any value to the set? I worked for national housewares of salt lake city , Utah from 1967 till their demise in 1979 , when they went to a name change of sir anthony james. Emdeko was the brand name of the products of national housewares.. Emdeko stood for the six owners first names which was ..easy , mike , David , Eddie , Keith and Owen . we sold fire alarms , sewing machines , cookware , orbiter floor polisher , encyclopedias , super 8 camera and projecters , ,auto stabilizers , China dish settings , console stereos and another 8 or 10 items . easy and mike was the pippela brothers , David , Keith and Owen was the biggler brothers and Eddie gilson was a banker investee from California . national housewares was sold to Jim Swanson and tony wanless who change the name to sir Anthony james.. Who ceased operations by late 1980s.. All their products was of good quality..
We found an Aluminum item with the “EMDEKO” on and we have no idea what it is. Can I post a picture of it? 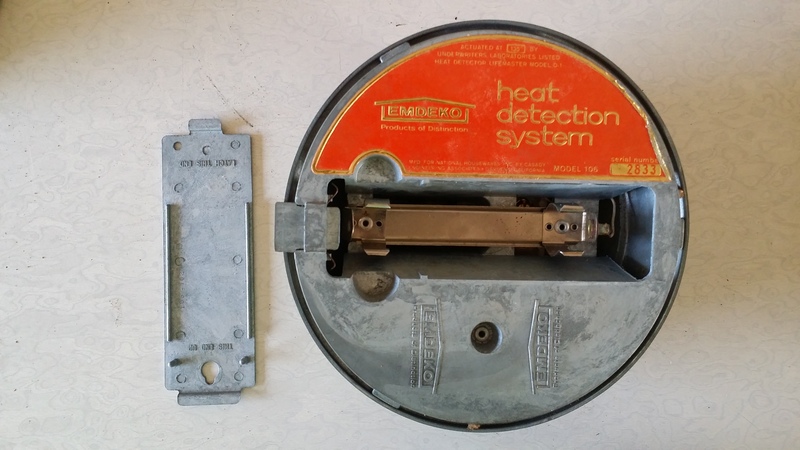 Recently bought a house that has an embryo fire alarm. Wondering if it’s worth having around? Any chance it still works? It still rings when tested.